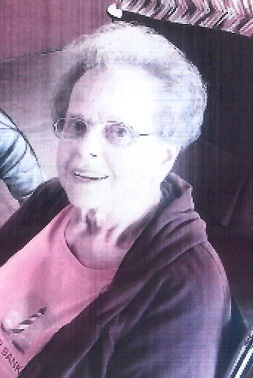 Dorothy M. McKown, 82, of Stockport, passed away on Thursday, Feb. 7, 2019 at the Highland Oaks Nursing home in McConnelsville. She was born on April 6, 1936 in Marietta to the late Clifford and Stella Carpenter Hinton. She was a homemaker and a member of the Coal Run Church of Christ, Chesterhill O.E.S. and Rebakah’s Club of Chesterhill. She is survived by 3 sons, William (Cheri) McKown of Waterford, Thomas (Terri) McKown of Somerset and Scott (Marce) McKown of Stockport, 2 daughters, Thresa (Tim) Shuster of Stockport, Stefanie (Luke Able) McKown of McConnelsville, 1 brother, James Hinton of Waterford, 2 sisters, Eileen Carrell of Coal Run and Charlotte Cantwell of Williamstown, 6 grandchildren, Alicia Bowman, Cassie McKown, Tommy, Timmy McKown, Trina Reed and Hanna Frazier, 8 great grandchildren, Kiya-Shea Pires, Kennedy Pires, Evan Able, Aiden Guinn, Madisen Guinn, Carter Guinn, Conner McKown and Enoch Frazier and 1 great great grandchild on the way. She is preceded in death by her parents, Husband, William “Ed” McKown and 2 brothers, Bernard and Paul Hinton. Services will be held on Tuesday, Feb. 12, 2019 at 11:00 A.M. at the Stone-Matheney Funeral Home in Chesterhill. Burial will follow in the Chesterhill Cemetery. Friends may call on the family on Monday, Feb. 11 from 2-4 and 6-8 P.M. Dorothy loved her animals so you may make a donation to your local Humans Society in her name. To send a note of condolence to the family go to www.matheneyfh.com.